Early last year, PRS and John Mayer teamed up to release a signature line of signature guitars in the artist’s name. 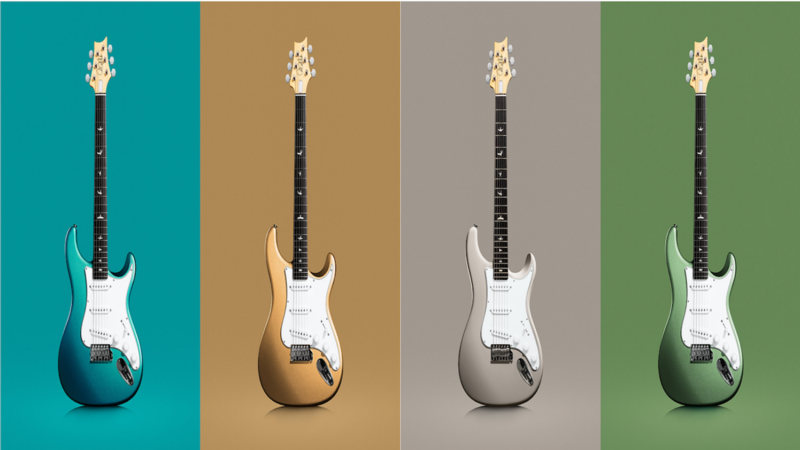 The PRS Guitars John Mayer Signature Silver Sky guitar was created essentially with a Stratocaster-like body, which has been Mayer’s go-to guitar type for a long time, and was released in 4 original color finishes: Frost, Horizon (Red), Onyx, and Tungsten. These 4 colors for a long time, have been the only color options, until now. Just a few days before the launch of NAMM 2019, John Mayer himself took to Instagram to tease what we can only describe as “something blue,” with the curvature of a guitar body down the middle, and a simple text statement that said “Tomorrow.” Many fans of PRS Guitars who were already aware of the Silver Sky models speculated the possibility of a brand new guitar. However, we now know what this announcement was referring to, and unfortunately it is not a new guitar, but rather 4 new colors for the same John Mayer Signature line. The new finishes include Dodgem Blue (which was in the Instagram teaser photo), Golden Mesa, Moc Sand, and Orion Green. These new color options definitely provide a nice palette of big, bold colors for guitar players who need an extra pop of color to stand out during their performances. Although it is unfortunate that we now know there will not be something brand new from John Mayer, we do still have one more full week before the NAMM 2019 excitement ends, so maybe PRS Guitars has something up its sleeve that has not been put out on the table yet. Either way, it can not be denied that this is an exciting announcement from PRS ahead of NAMM, and it only makes us look forward to what else is on the nearby horizon from the company this year. To learn more about the PRS Guitars John Mayer Signature Silver Sky line, please visit its page on the official PRS Guitars website. Or, to get the guitar for yourself, head to Guitar Center.